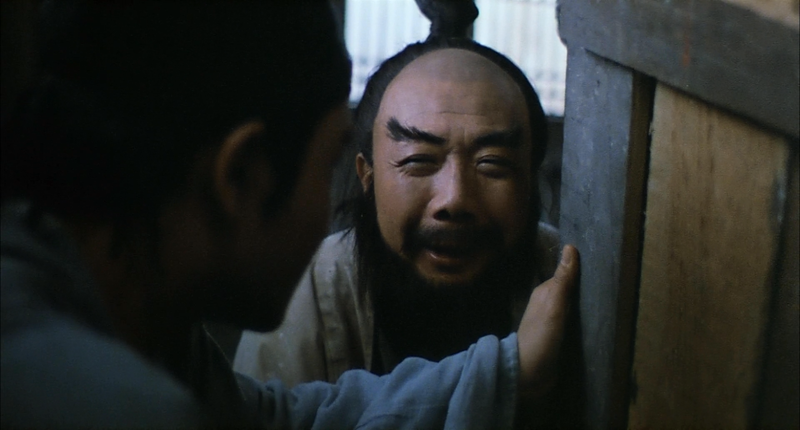 A Chinese Ghost Story is a horror, comedy, and romance movie originally written by Pu Songling who lived from 1640-17154. Adapted to the screen by Yun Kai-chi, Produced by the amazingly talented Tsui Hark (Once Upon a Time in China, New Dragon Gate Inn, Seven Swords), and directed by Ching Siu-tung (The Swordsman 1-3, An Empress and the Warriors, Duel to the Death). Leslie Cheung (Once a Thief, Bride with White Hair) plays our hapless hero Ning Choi-san. A debt collector who runs into some bad luck with spirits. Joey Wong (Green Snake, Painted Skin 1993, God of Gamblers) is our ghost Nip Siu-sin, she soon falls in love with Ning Choi-san but has to watch out for the evil spirits and a Taoist Monk. Wu Ma (The Water Margin, Prodigal Son, The Swordsman, Sword Stained with Royal Blood TV series) is the Taoist Monk Yin Chik-ha who is trying to live a life of seclusion in the haunted temple, staying away from humans and keeping an eye on the evil spirits. The 98 minute epic film certainly deserves all of the awards heaped on it. For a film mostly shot with a blue tinted lens for “Movie Night” they did a good job at not getting the details lost in the darkness. 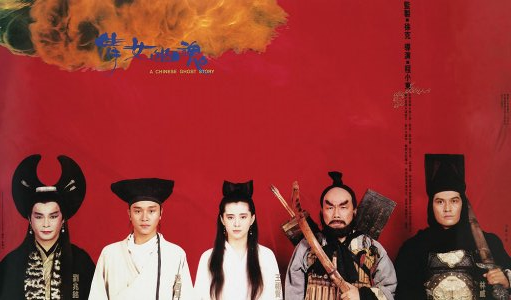 Wu Ma is simply amazing in A Chinese Ghost Story, Leslie Cheung’s performance is very enjoyable and Joey Wong is equally good in her role. The romance between the two is believable that’s all I can ask for. This film is very enjoyable to watch. It makes you laugh, the action is fun, the sets are not overly ornate but it does take place in a ruined temple, and the effects are from the 80’s but it didn’t take anything away from the story at all. This entry was posted in Horror and tagged Hark Tsui, Horror, Romance, Wu Ma. Bookmark the permalink.